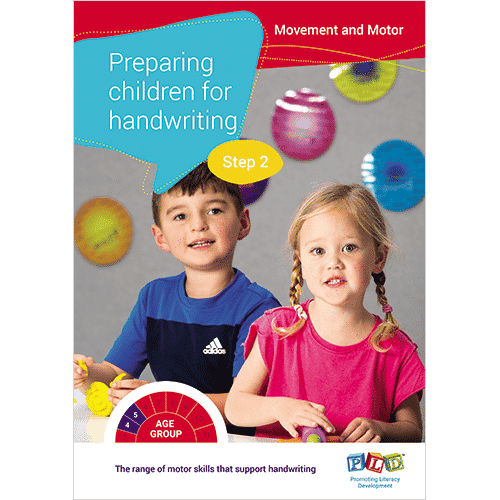 The range of motor skills that support handwriting. 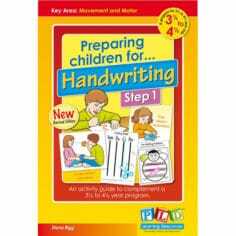 This guide continues to prepare children, aged 4 1/2 to 5 1/2 years, for the demands of handwriting. 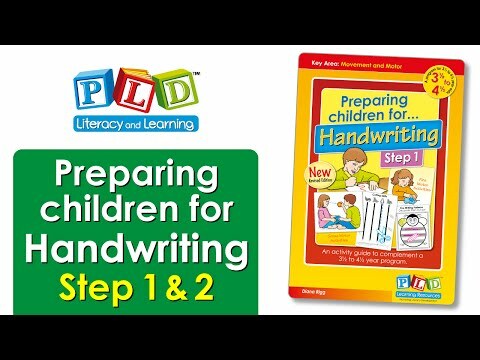 Developed by an Occupational Therapist, this resource introduces a comprehensive pre-handwriting program with activities targeting skills that are essential for handwriting. 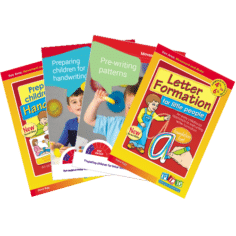 Pencil grasp, paper position, posture and rehearsal of pre-writing letter formations. 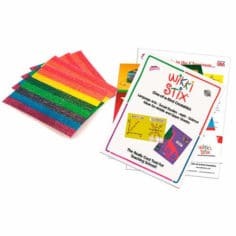 Tracking, visual memory and visual discrimination activities. Hand skills: cutting, play dough, threading etc. activities. 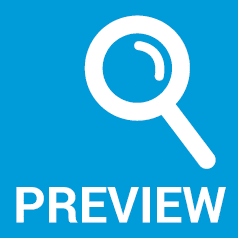 This publication can be opened in full. This publication is mentioned within the ‘Whole School Literacy Strategy’ booklet on page 10. 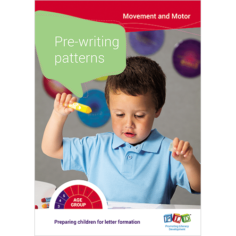 Designed by occupational therapists, the pack presents an early childhood approach to motor development and letter formation. A supplementary resource suitable to use with certain PLD resources.